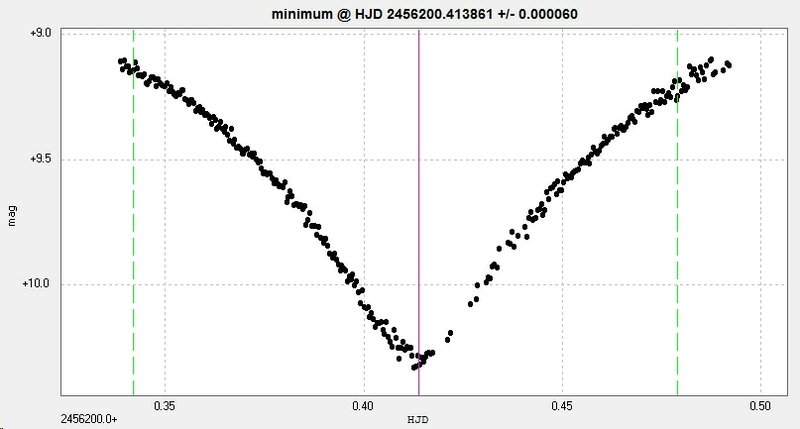 Light curve of the EA eclipsing binary V346 Aquilae, constructed from observations made with the Bradford Robotic Telescope Cluster Camera (BRT) and two primary minima observed from Somerby with a 2" objective lens and Atik Titan Camera. Black BRT 2013 07 02 to 2013 12 06. Red 2" Titan 2012 08 09 Blue 2" Titan 2012 09 29. ​All observations unfiltered and untransformed. 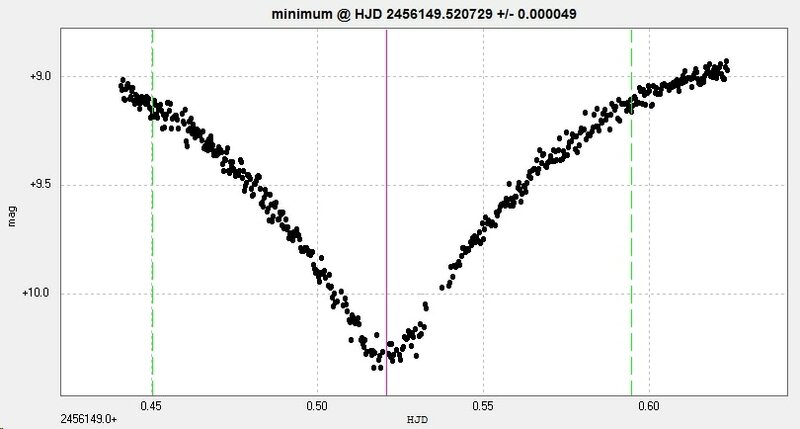 The best fit period is 1.1064 days (as calculated by Peranso/ANOVA) which compares well with the catalogue value of 1.106363 days ref AAVSO VSX (accessed 2015 10 01). 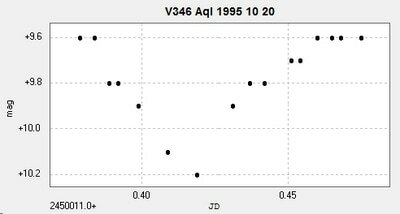 The component sets of data are shown below. V346 Aquilae primary minimum. 2" Titan, Somerby Observatory, 2012 August 9. 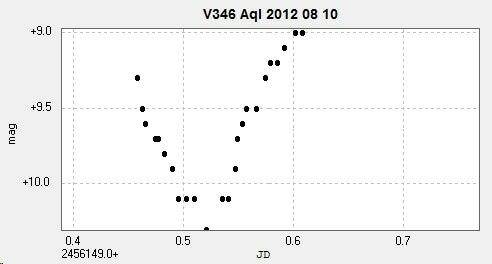 V346 Aquilae primary minimum. 2" Titan, Somerby Observatory, 2012 September 29. Phase diagram plotted from BRT observations. The catalogue values for the period are 1.1063628 d ref GCVS and 1.106363 d ref AAVSO VSX. A couple of visual observations using my 10" Newtonian.